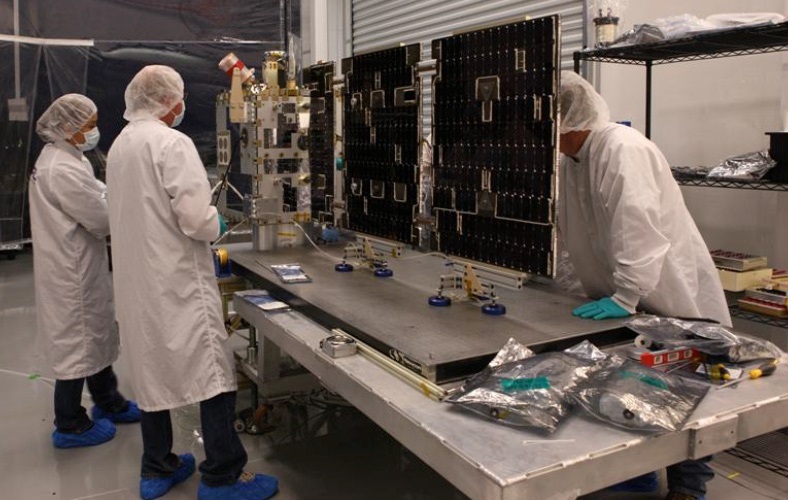 EAGLE – the ESPA Augmented Geostationary Laboratory Experiment – is an experimental space test platform commissioned by the U.S. Air Force Research Laboratory (AFRL) based on Orbital ATK’s ESPAStar Platform. 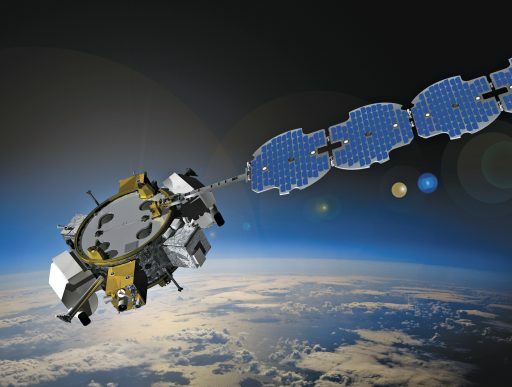 Riding as a secondary payload on the AFSPC 11 mission, EAGLE will be deployed directly into Geostationary Drift Orbit where it will deploy at least one satellite and operate at least four payloads affixed to the ESPA ring with varying objectives including technology demonstrations for upcoming space surveillance missions. The contract for the EAGLE mission was awarded to Orbital ATK (then Orbital Sciences) in 2012 for $32 million. Based on the publicly available information on the instruments/payloads carried by EAGLE, the primary mission objective appears to be furthering the technology of space situational awareness (SSA) and other space militarization-related systems – exploring a potentially new way of imaging satellites in high-altitude orbits, dispatching a small satellite implementing lessons learned from an earlier SSA mission and demonstrating systems of a “resilient” satellite platform. 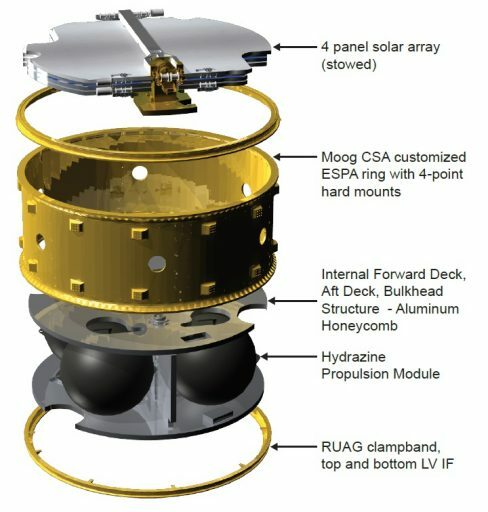 The ESPAStar platform takes an ESPA (EELV Secondary Payload Adapter) as basis and adds a number of provisions such as power generation, active attitude control and maneuvering capability and two-way communications to allow up to six hosted or 12 separable payloads (or a combination thereof) to be flown around the ESPA ring. 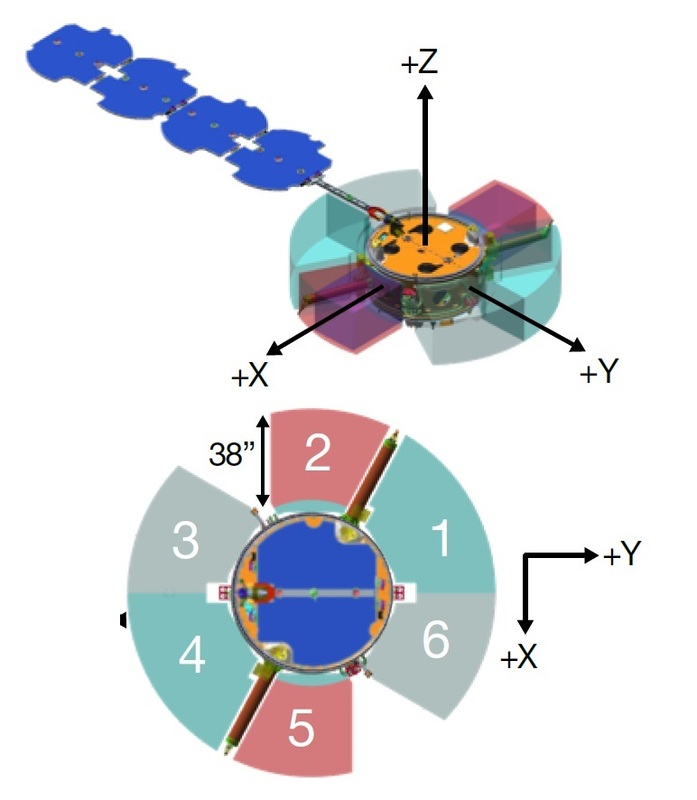 ESPA has been used as a payload adapter on several missions to date, hosting a primary spacecraft atop the ESPA ring while secondary satellites were installed around the ring to be dispatched into orbit while the ESPA ring remained attached to the upper stage of the launch vehicle. The concept of a free-flying ESPA capable of facilitating hosted payloads and deployables was seen as a cost-effective evolution of existing hardware into a highly capable infrastructure for technology development and operational payloads. The main structure of ESPAStar is a conventional ESPA Ring – the hosted payloads reside on its outer circumference while the interior hosts the various platform systems like propulsion, attitude determination & control, power generation and communications – allowing the hosted payloads to be of simplified architecture and share the provisions of the platform (not requiring power generation, attitude control or RF communications themselves). The ESPAStar platform has six ports and allows a maximum of one hosted or two separable payloads to be flown on each port. All ports employ standardized payload interfaces, allowing for hosted and separable payload interchangeability as well as late payload integration and manifest changes late in the assembly stage. The platform has been optimized for operation in Geostationary Orbit, but can be adapted for missions in Low and Medium Earth Orbits. ESPAStar can support a total payload mass of 1,086 Kilograms, up to 181 kg per port with a payload envelope height of up to 96.5 centimeters. The ESPAStar Platform itself is 157.5 centimeters in diameter and stands 61 centimeters tall with a dry mass between 430 to 470 Kilograms depending on orbit and mission requirements. Its overall design architecture is single-string with select component redundancies to ensure the platform can support multi-year missions. 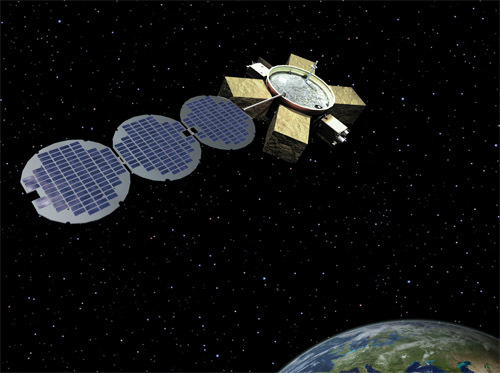 The ESPAStar Electrical Power System consists of a four-paddle solar array that is stowed on the top side of the ESPA ring and deploys once the platform separates from the launch vehicle, extending the solar array on a boom to clear the installed payloads. Total power generation at beginning of life is 1,200 Watts, fed to a 96 Amp-hour Li-Ion battery unit from which power is delivered to the payloads through a 28-Volt main bus. The power budget available for each payload is tailorable based on mission profile; the total power shared between the payloads is around 950 Watts. ESPAStar hosts a Hydrazine monopropellant propulsion system for orbit and attitude control, comprising four Hydrazine tanks with a total capacity of 310 Kilograms – translating to a mission delta-v budget of 400 to 800 meters per second (P/L mass 1,086 to 175 kg) to enable extensive orbit maintenance and maneuvering capability. The propulsion system employs twelve one-Newton thrusters for attitude control and four 22-Newton Rocket Engine Assemblies are used for delta-v maneuvers. The Attitude Determination and Control System relies on a series of sensors for precise attitude determination while a three-axis Reaction Wheel Assembly is the primary attitude actuator. Pointing knowledge is provided with an accuracy better than 20 µrad through a combination of star trackers, Earth/solar aspect sensors and a three-axis inertial platform to provide linear and radial rate information. Pointing control realized with the reaction wheels exceeds 20 µrad on all three axes, allowing for precise pointing for payload operations including pointed observations of targets. The reaction wheels support slew rates of 1.2 degrees per second or higher; regular momentum unloading from the wheels is completed with the attitude control thrusters. The hosted payloads around the ESPA ring share a data system provided by the ESPAStar platform and interfacing with them via a Synchronous Payload Bus, UART/Space Wire Interface, and 1553 Command Interface. The baseline platform has a 36 GByte payload data memory and downlinks at 256 kbps in real time mode and 1.6 Mbps for stored data through the Air Force Satellite Control Network. Uplink is baselined for 2kbps but can be increased if required by the payloads. MYCROFT is an experimental satellite commissioned by the Air Force Research Laboratory and based on Orbital ATK’s ESPASat platform specifically developed for launch around ESPA adapters. Neither the purpose of the satellite nor the acronym making up its name are known to the public. Suspected purpose may be a Space Situational Awareness technology demonstration given ESPASat’s high delta-v capabilities and only prior use on the ANGELS demonstration. HTI-SpX – the Hypertemporal Imaging Space Experiment is a technology demonstration instrument of the AFRL Space Vehicles Directorate with the goal of increasing the technology readiness level of hypertemporal imaging – blending multi-spectral imagery of targets taken over regular intervals of time. HTI-SpX was developed by Raytheon under a $33.7 million AFRL/RVEP contract awarded in April 2014 with support from Spectral Science Inc. for the development of novel image analysis algorithms. The instrument collects images in ultraviolet, visible and infrared wavelengths to cover a variety of target signatures and collects records of how scenes change over time via hypertemporal processing techniques. ISAL – Inverse Synthetic Aperture Ladar – is a potential game-changer for space-situational awareness as it offers images not limited in resolution by the diffraction limit of a telescope, potentially offering an ideal method for imaging resident space objects in the Geostationary Belt. This method will likely be employed by GSSAP follow-on missions that are currently in their formulation stage. 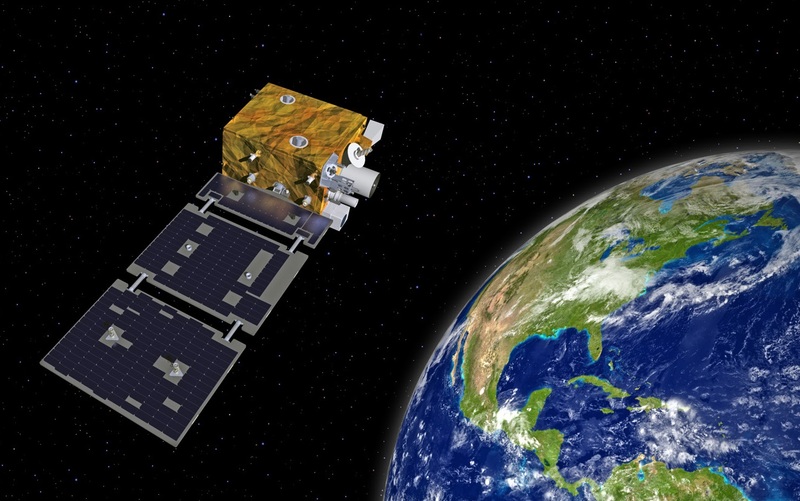 CEASE-III-RR – the Compact Environmental Anomaly Sensor III Risk Reduction – tests a new sensor package designed for anomaly attribution due to the space radiation environment. The 10 x 10 x 25-centimeter package combines a Low Energy Proton/Electron Telescope (LEPET) with two solid state detectors, High Energy Proton/Electron Telescope (HEPET) with five solid-state detectors and an Electrostatic Analyzer to measure the proton flux from 3 to 200 Mega-Electronvolt, the electron flux from 0.05 to 4 MeV and electrons/ions from 100 eV to 50 keV. These measurements cover all four primary space environment effects that can impact the operation of a satellite and so provide a means of identifying system anomalies caused by adverse space weather. The MYCROFT Satellite is based on Orbital ATK’s ESPASat satellite platform – a highly-agile small spacecraft bus optimized for use as roaming spacecraft in the Geostationary Orbit regime. The satellite bus is baselined for a 70-Kilogram dry mass and a payload of up to 30 Kilograms plus 22.7 Kilograms of Hydrazine monopropellant to enable frequent and significant orbital maneuvers with a mission delta-v budget in excess of 400 meters per second. ESPASat flew for the first time on the ANGELS Space Situational Awareness mission in 2014 and its second use is for the MYCROFT Experiment which is understood to be a follow-on to ANGELS. The ESPASat platform without payloads is 57 x 57 x 70 centimeters in size and employs a single-string architecture with selective redundancies on the component level – rated for a three-year mission life in Geostationary Orbit. A three-panel solar array delivers up to 265 Watts of power to the satellite of which 30 Watts of orbit-average power are available to the payloads with a peak power of 60 Watts, fed from a 24 Amp-hour Li-Ion battery. The satellite hosts a six-degree of freedom Attitude Control System employing stellar navigation as primary source for attitude data. Actuation is provided by reaction wheels and Hydrazine monopropellant thrusters with slew rates around 1.5 degrees supported by the satellite to allow for quick transitions from one target to the next. Pointing knowledge exceeds 70 µrad and the satellite uses GPS for orbit and position determination with an accuracy of 10 meters and better. The satellite’s command and data system employs a Virtex 5 Field Programmable Gate Array and BRE440 Processor as central computing elements with a 12GB storage available for payload data. Communications are handled at 256 kpbs for downlink and 2 kbps for uplink through the Air Force Satellite Control Network with Type 1 encryption. 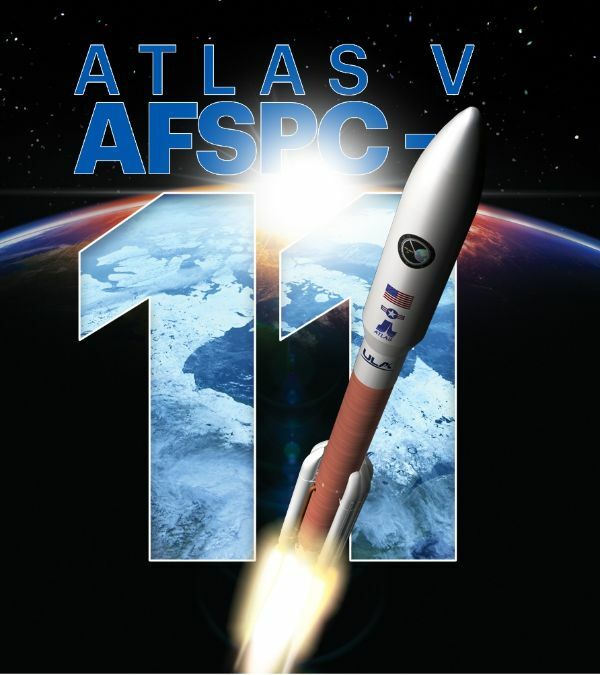 Copyright © 2019 AFSPC-11 – Atlas V. All rights reserved.